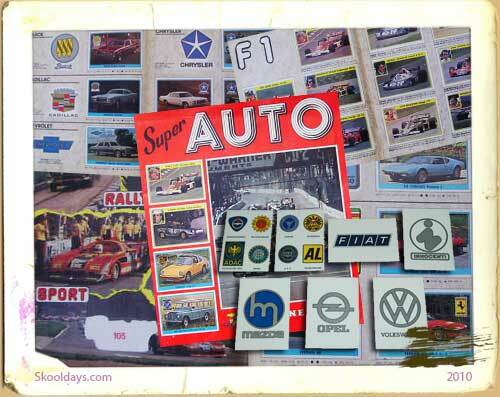 Super Striker was the new and improved subbuteo for kids. If you loved football or soccer then you would love Striker and Super Striker. Though these were only 5-a-side games, not your full 11 players. 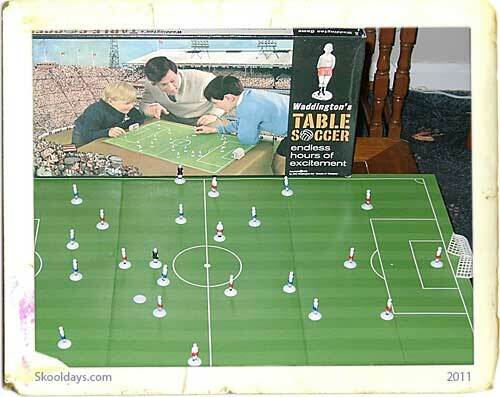 These plastic figures with long necks made them all look like Rodney Trotter on a football pitch, but they had one major advantage over Subbuteo. They could kick a ball. “For real football action, there is only one Super Striker” was the advert and at £30 in the seventies it was half a weeks wages, which is about the same as a ticket to any premier soccer match today! In addition Super Striker boasted diving Goalkeepers, floodlights and a soccer scoreboard. Most sets cam with just two teams one in red shirts and one in blue. so most matches were Manchester United versus Chelsea or Liverpool versus Everton. The rules were pretty basic and obvious. The Super Striker players have one moveable leg controlled by a rod and spring inside the figure which attaches to the player’s head. Place the ball in the slot in the base, and then press the head down to propel the ball. The pitch is divided into sections, with one player in each section. If the ball finishes in a section controlled by one of your players, you can move that player to the ball, and then pass or shoot. If it finishes in the penalty area, the goalkeeper throws it back into play. It’s that simple. 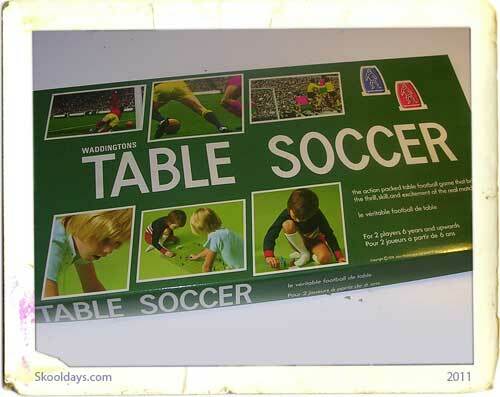 The goal is slightly bigger than a standard Subbuteo goal, and the ball is much smaller – it is actually in scale with the players. The team that scores the most goals in a designated time win. Or the first one to 5 goals. There was also a World Cup edition for the 1974 tournament.. Super Striker soccer game was released after the initial Parker game called Striker. 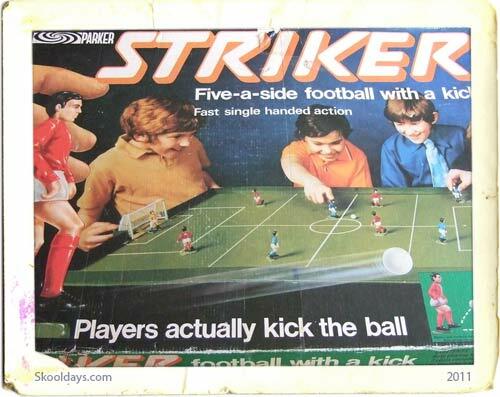 The tag lines were “Football with a kick” and Players actually kick the ball” . 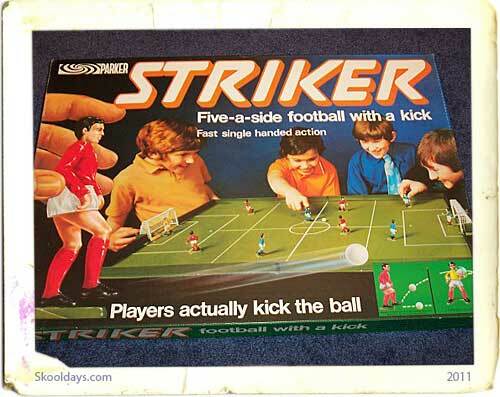 My husband Has the Super Striker, still boxed from when he was a child. It sits on the top of our wardrobe and comes down once a month for a lid dust!